Madhumardan is a very good medicine for diabetes. When I got to know about this product , I was taking insulin twice a day. I'm happy to inform that my sugar levels are absolutely under control ever since i started taking MADHUMARDHAN. & now i'm recommending it to my kith & kin. I give below a few lines about PAINOFF which we have been using since last two years. 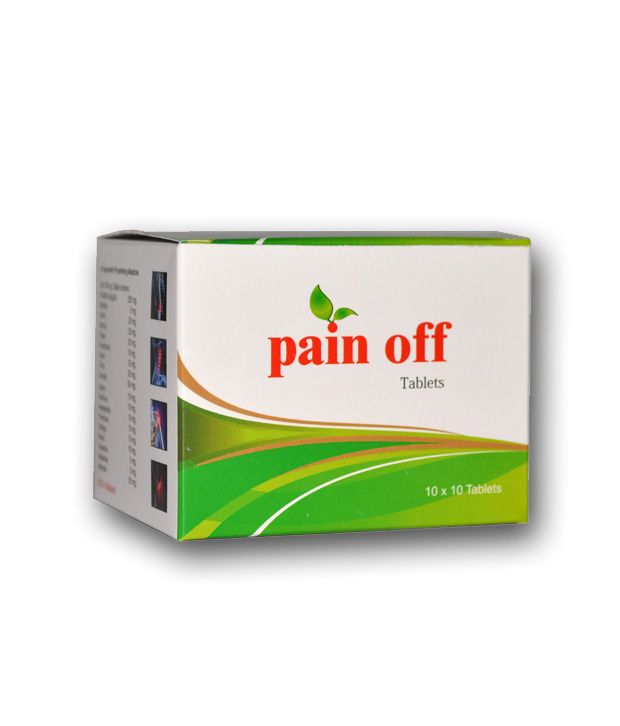 My mother 92 years old was advised to use PAINOFF from Sri Jain Ayurvedic Pharmacy which she is regularly using for her knee pain. It is working nicely and she has good relief from this wonderful product. I also use the same when I ride long distance in two wheelers. It is great to see that the pain is relieved completely and I will be fresh. 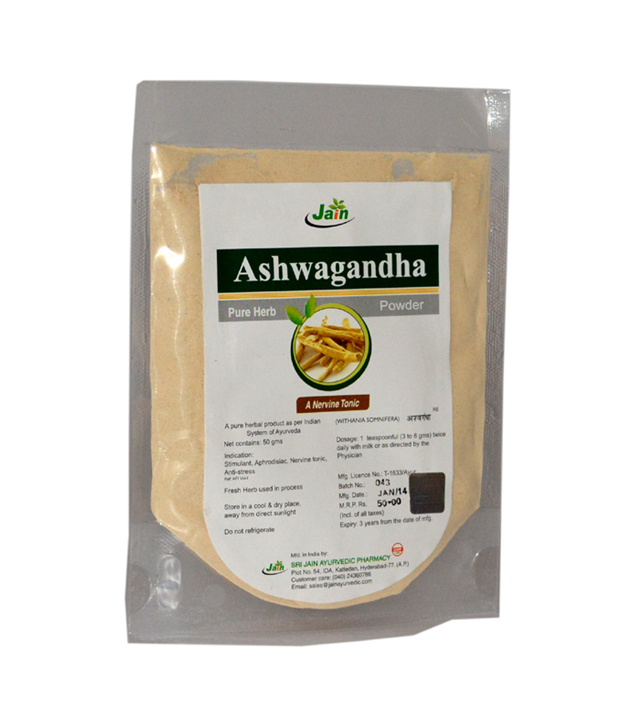 I am using your single herbs like Ashwagandha, Shilajit, Shatavari, Yashtimadhu, Guduchi and Brahmi powders. All the products which i am using are fresh and are fully potential herbs. Thank you very much providing this opportunity. I wish you at Sri Jain Ayurvedic Pharmacy success in the present,past and future. As I am a diabetic, Madhumardan has balanced and controlled my blood sugar at a normal level. Two of my relatives had forced me to start taking Madhumardan. One of them is an Allopathic doctor retired from Government of Orissa hospital. For the last 12 years he is an ardent user and without taking Madhumardan he feels comfortable. Second person is a retired Government Head Master of around 85 years. Suddenly he was found to be suffering from diabetes with fast blood sugar level of 345. Subsequently, because of illness he continued with insulin for one year with a constant medical support. After he came to the normal level, intead of continuing insulin, he started with Madhumardan. For the last two years, there is absolutely no problem and he leads a normal life with Madhumardan. Only difficulty faced is that without Madhumardan he never feels comfortable. We believe as on date there is no match of the same. I have been using MADHUMARDAN for the last 15 days and it's giving me superb results. I wish to take a 1 kg pack now. I am a senior citizen based in Chennai. I have been taking Allopathic drug â€“ Diabend M twice a day for some years now. My fasting sugar levels were erratic even with this medication. After starting on Madhumardhan as an adjutant to the Allopathic drug for the last one year, I have found a lot of improvement; My fasting levels are in the range of 100. At times it becomes lom. While the product is in itself good, the support by way of clarifications and information from the company â€“ Jain Ayurvedic Pharmacy, Is quite excellent and prompt. I am taking Madhumardan continuously and my sugar level is in range. I have recommended this medicine to my friends and relatives. They have also reported that their sugar level is under control. I should thank you for making such a good medicine. We both husband and wife are diabetic patients. We have been using Madhumardan Powder since last two years along with some low dose allopathic medicines. Some of my friends and relatives are also using Madhumardan on my recommendation. We all are getting good result on using it with diet restriction and daily exercise. Sugar level is maintained properly. 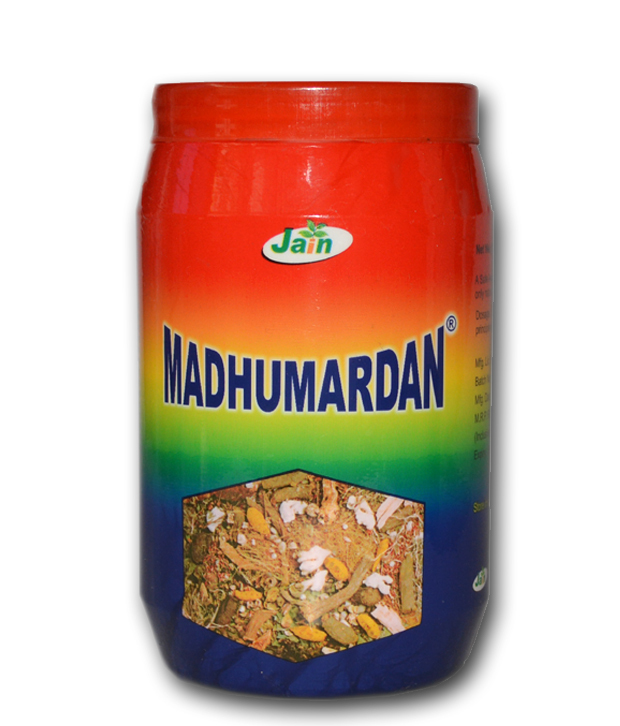 It is also experienced that there is no harm(Side Effects) in using Madhumardan. 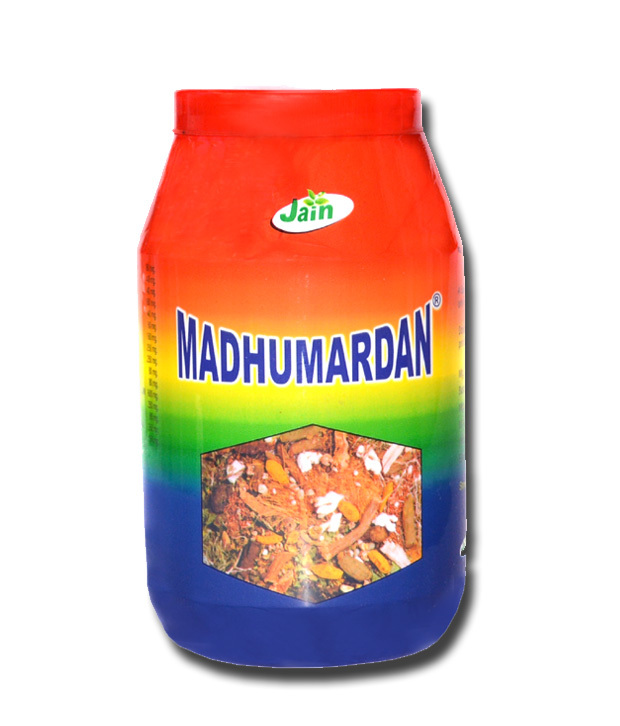 I am using Madhumardan and it has brought down my PPBS considerably. From 161 to 127 - 3 readings in One Touch Ultra. I am a diabetic and I have recently started using Madhumardan Chooran.I am finding it to be useful in controlling my sugar level. I am using MADHUMARDAN for the last one year and with its help i am able to control my blood sugar without any allopathic drugs. MadhumardanÂ is a very good medicine for diabetes. When I got to know about this product of SJAP from my friend, I was taking insulin twice a day as my blood sugar was very high (above 300). He advised me to useÂ MADHUMARDANÂ and after 1 month my blood sugar level falls to normal. My doctor advised me to stop taking insulin and now I am perfectly normal. It has no side effects or any other complications due to diabetes. Hundred thanks to SJAP. I have so far ordered the Amla powder in various packs. The product is very good & it's very easy to buy online. I expect nothing less in terms of delivery too, as the guys at Jain ayurvedic know customer service well. Only once I had a payment issue (server side) & sorted out smoothly... If I recollect well, I received the order even before I initiated payment. Yes it's been a great experience & am looking for more products in the line of Ayurveda.